Recognizing that you have a lab exam on Tuesday September 22, next week’s set of Deliverables is smaller than previous weeks’. The readings, assignments, and projects below constitute the Week 04 Deliverables and are due by 11:59pm EDT on Thursday, September 24th. In honor of Ahmed Mohamed, this week’s Deliverables involve clocks. Chapters 5, 6 and 8 in GSWp5.js. In this Assignment, your program will display a tally of the user’s clicks. This Assignment is to be submitted through Autolab. Tally marks, also called hash marks, are a unary numeral system, typically used for counting. According to Wikipedia, counting aids (other than body parts) first appeared in the Upper Paleolithic or Late Stone Age; the oldest tally sticks date to between 35,000 and 25,000 years ago, in the form of notched bones, and were likely used to mark time. 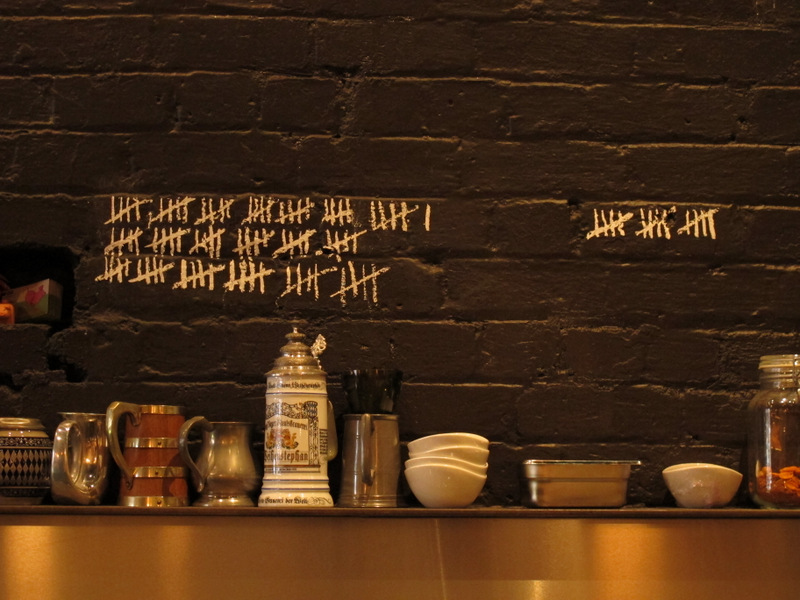 The above image shows tally marks that count visitors’ drinks at a well-known British pub. Using our lightweight sketch template (template-p5only.zip), create a p5.js program with a canvas of 800 x 100 pixels. Give your program a global variable called gClickCount, which is initialized to 0. Increment the gClickCount variable whenever the user presses the mouse button. Add some additional functionality that resets gClickCount to zero whenever the user presses a keyboard key. 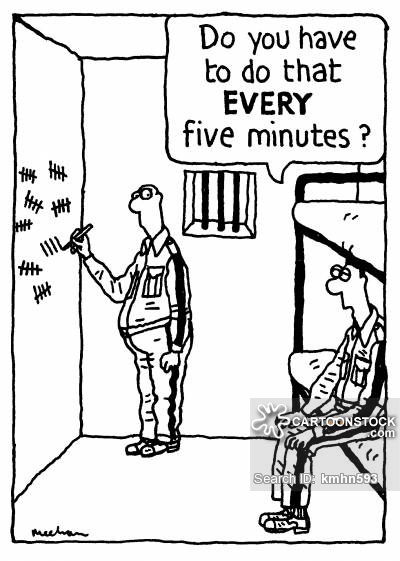 Really, however, we ask you to display gClickCount using good-old “classic” tally marks: the kind you’ve seen a million times in cartoons, consisting of visual groupings of five marks, where the fifth mark in each group is a diagonal slash that intersects the other four. Using our lightweight sketch template (template-p5only.zip), create a p5.js program with a canvas of 300 x 300 pixels. Document your work y embedding images of paper sketches from your notebook; these could be as simple as photos captured with your phone. Label your project’s blog post with the Category Project-04-Abstract-Clock. So… this …should… be obvious, but you may not submit your Assignment-04B (Simple Clock) for this Project; you’re being asked to design a clock of your own invention. Furthermore, the purpose of the code above is to provide some potentially helpful technical scaffolding for you, not to suggest that your designs ought to look like rectangular bars. This Project is an invitation to invent!